10. You can't sew. Therefore, you can't make all of the fancy-schmancy things for school like the lunch box bag, the tea cup bag, the shoe bag, the book bag, the PE uniform bag, the luncheon mat, the sweet little book marks, and the notebook covers. You also can't turn your son's smock into a work of art inspired by Monet. Why? Because you can't sew. 9. You think your kids will probably survive just fine, even if you don't make them gargle with iodine every single day. 8. You don't feel compelled to make cute animals out of the various foods you put in your son's lunch. Rabbit apple slices. Lion mini sausages. Hello Kitty carrots. You can live without creating these things. 6. During the long weeks of the rainy season, you've been known to take your laundry to the laundry mat to dry it. 5. You're pretty sure your husband can get his own beer/tea/coffee, and you're not afraid to make him try. 4. You don't think of an apron as an everyday article of clothing. In fact, you don't feel at all self-conscious doing all sorts of work inside and outside the home without one on. 3. You microwave at least some part of some meal once a day. 2. You don't think the occasional carbonated drink will melt your kids' bones and put them on the path to delinquency. Re: #1. You're just not trying hard enough! Yes, maybe I should change it to, "You're not Japanese and you're just not trying hard enough." Oh love this. Glad to be back in the states where I sometimes leave my shoes on in the house without feeling like I have to fall on a sword in dishonor. I still feel super guilty about the shoe thing. Sometimes, when Ren's not looking, I take a couple of steps into the mudroom just to grab my keys. Please, promise you won't tell! Pleeease! I feel like one of these should be "never use pre-made, frozen stuff".. I have YET to find like, pre-made frozen desserts in Japan besides ice cream, and I am going through frozen cookie dough withdrawl..
Oh wow, I've only just stumbled on your blog for the first time. 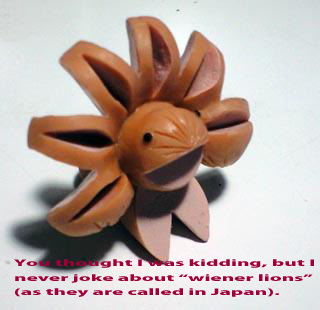 I believe we may have a similar sense of humor...and take on the Japanese culture. Just charming, love it! Is It Okay to Laugh Now? No? How About Now?